Though aimed a bit high, this Crayola Inflatable Points To Center Store. We all know how highly shopped the perimeter, so cut Center Store a break when you can. Blue being read psychologically as a “trustful” color, shoppers will take the hint, Or minimally just assume Crayola merchandise is in that general direction. In any event, this is good for Crayola brand recognition. 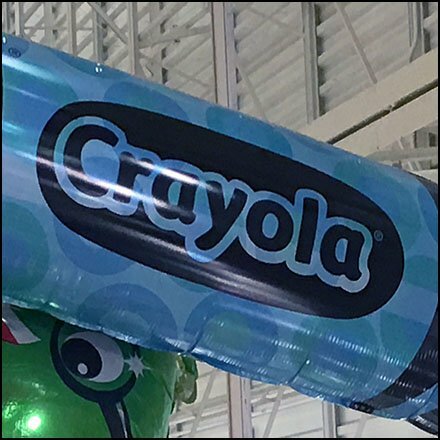 This Crayola Inflatable Points To Center Store example courtesy of Weis.